Just a day after Uganda Cranes head coach Sebastien Desabre echoed out that he was not worried about the results on the pitch, the team lost again. This time it was against West African minors Niger who defeated the Cranes 2-1 in a second of two friendlies that were lined up for this particular training camp. The game played on Saturday night saw the West Africans storm into a 2-0 lead thanks to Victorien Adebayor’s goal in either half. A slightly changed Cranes side from the one that lost 1-0 last time out could not find the answers to Niger and got a consolation towards the end through right back Nicholas Wadada via a Yunus Ssentamu pass. This is the second loss in three days that the Cranes have suffered after going down 1-0 to Central African Republic on Wednesday evening. After the loss on Wednesday, Desabre made a few changes to the team, introducing captain Denis Masinde Onyango in goal along with Edrisa Lubega upfront. The Frenchman also handed a debut to Danish based 20 year old midfielder Moses Opondo who failed to impress on his first outing with the National team. Danish based Moses Opondo was handed his debut on Saturday. Desabre has been in charge of seven official games for the Cranes since his arrival in late December to replace Moses Basena. Four of those games have been friendlies in which he has won one (against Soa Tome), drawn one (against Malawi) and lost two (against CAR and Niger). 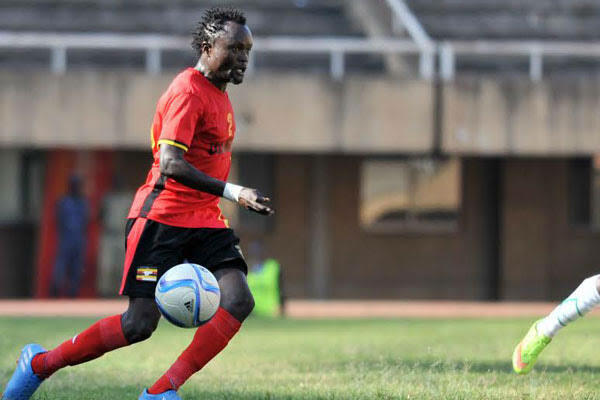 The other three games came at this year’s CHAN championships in Morocco where Uganda lost two and drawn one of its three games and subsequently failed to progress past the group stages. Indeed there are signs that the style of play may be changing for the better but what is worrying for everyone is Uganda’s inability to get results over the lesser Nations on the continent. With that said, the Cranes next competitive fixture is just over two months ago and come them, everyone will get a clear picture on where the team has now moved ever since both Micho and Basena departed. The team is expected to jet into the country on Monday and will have to wait till September for the next time they play a game, it It will not be a friendly this time round, rather an AFCON 2019 qualifier at home to Tanzania in Group L.
Uganda currently leads the group with three points from an away win at Cape Verde while Tanzania are second on one point. Dennis Onyango (GK), Nico Wakiro Wadada, Joseph Benson Ochaya, Timothy Denis Awanyi, Murushid Jjuuko, Khalid Aucho, Hassan Wasswa Mawanda, Moses Opondo, Allan Kateregga, Edrisa Lubega Emmanuel Okwi.